1. 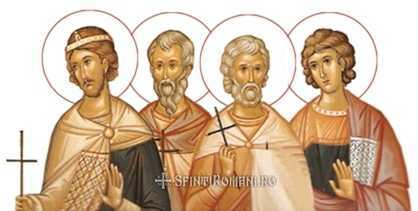 The Holy Martyrs Onesiphorus and Porphyrius of Ephesus suffered during the persecution against Christians by the emperor Diocletian (284-305). They beat them and burned them. After this, they tied the saints to wild horses, which dragged them over the stones, after which the Martyrs Onesiphorus and Porphyrius died. Believers gathered the remains of the saints and reverently buried them. 2. 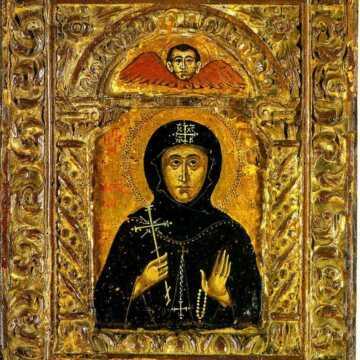 Saint Matrona, Abbess of Constantinople was born in the city of Perge Pamphylia (Asia Minor) in the fifth century. They gave her in marriage to a wealthy man named Dometian. 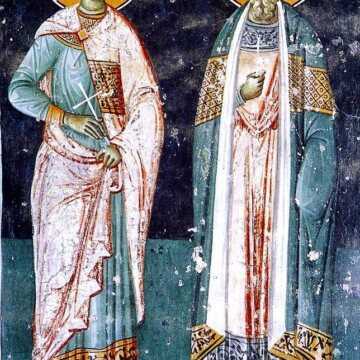 When her daughter Theodota was born, they resettled in Constantinople. The twenty-five-year-old Matrona loved to walk to the temple of God. She spent entire days there, ardently praying to the Lord and weeping for her sins. Her soul yearned for a full renunciation of the world. After long hesitation, Saint Matrona decided to leave her family and entreated the Lord to reveal whether her intent was pleasing to Him. The Lord heard the prayer of His servant. Once, during a light sleep, she had a dream that she had fled from her husband, who was in pursuit of her. The saint concealed herself in a crowd of monks approaching her, and her husband did not notice her. Matrona accepted this dream as a divine directive to enter a men’s monastery, where her husband would not think to look for her. With tears the saint told the igumen about all her past life, about her husband, hostile to her efforts and prayers, and about the vision directing her to go to the men’s monastery. Convinced that her intent was pure and chaste, Saint Bassion sent Saint Matrona to a women’s monastery in the city of Emesa. In this monastery the saint dwelt for many years, inspiring the sisters by her high monastic achievement. When the Abbess died, by the unanimous wish of the nuns the Nun Matrona became head of the convent. The fame of her virtuous activities, and miraculous gift of healing, which she acquired from the Lord, spread far beyond the walls of the monastery. Dometian also heard about the deeds of the nun. 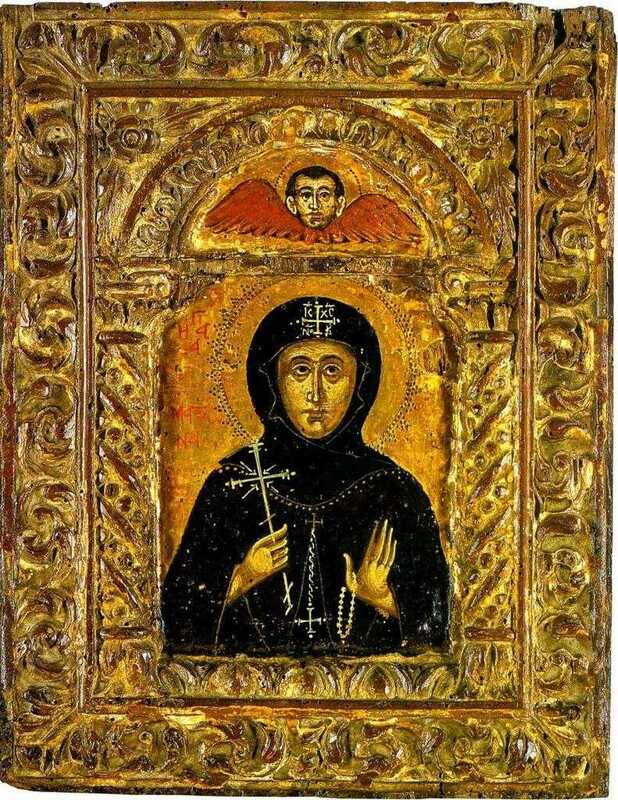 When Saint Matrona learned that her husband was coming to the monastery and wanted to see her, she secretly went off to Jerusalem, and then to Mount Sinai, and from there to Beirut, where she settled in an abandoned pagan temple. The local inhabitants learned of her seclusion, and began to come to her. The holy ascetic turned many from their pagan impiety and converted them to Christ. Women and girls began to settle by the dwelling of the nun and soon a new monastery was formed. 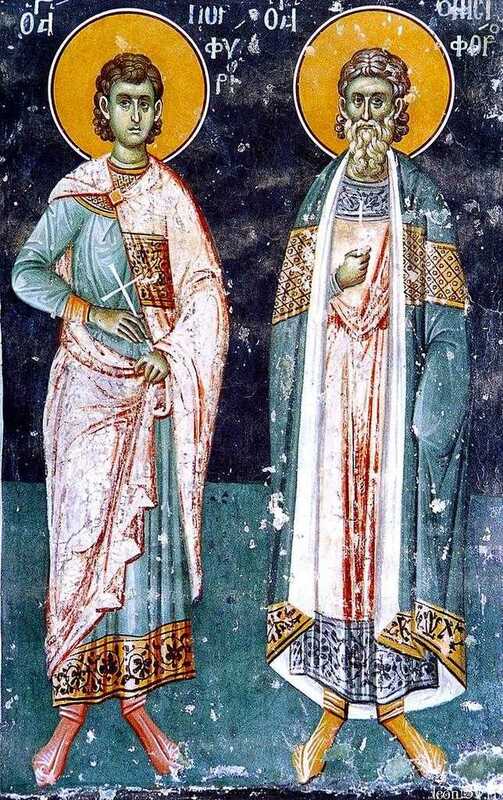 Having fulfilled the will of God, revealed to her in a dream, the saint left Beirut and journeyed to Constantinople where she learned that her husband had died. With the blessing of her spiritual Father, Saint Bassion, the ascetic founded a women’s monastery in Constantinople, to which sisters from the Beirut convent she founded also transferred. The Constantinople monastery of Saint Matrona was known for its strict monastic rule and the virtuous life of its sisters. 4. Saint Nectarius, the great wonderworker of modern times, was born Anastasius Kephalas in Selebria, Thrace on October 1, 1846. The merchant put the letter in his pocket and assured Anastasius that he would mail it with his own letters. The boy returned to the tobacco shop, filled with happiness. When he took the letter from his pocket to mail it, the merchant happened to notice the address. Astonished and curious, the man could not resist opening the letter to read it. Touched by the boy’s simple faith, the merchant placed some money in an envelope and sent it to him anonymously. Anastasius was filled with joy, and he gave thanks to God. When he was still a young man, Anastasius made a pilgrimage to the Holy Land. During the voyage, the ship was in danger of sinking in a storm. Anastasius looked at the raging sea, and then at the captain. He went and stood beside the captain and took the helm, praying for God to save them. Then he took off the cross his grandmother had given him (containing a piece of the Cross of Christ) and tied it to his belt. Leaning over the side, he dipped the cross into the water three times and commanded the sea, “Silence! Be still.” At once, the wind died down and the sea became calm. Later, when he was a priest, Father Nectarius left Chios and went to Egypt. There he was elected Metropolitan of Pentapolis. 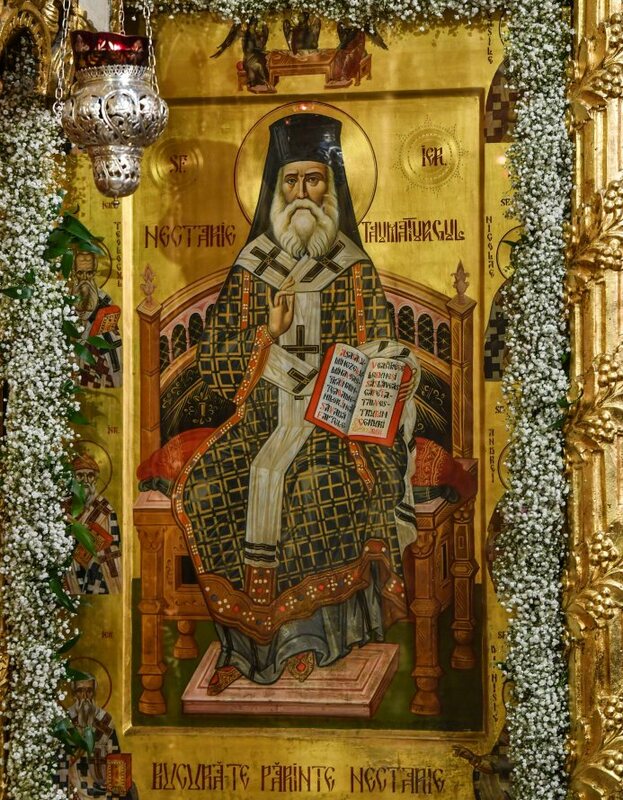 Some of his colleagues became jealous of him because of his great virtues, because of his inspiring sermons, and because of everything else which distinguished Saint Nectarius from them. Other Metropolitans and bishops of the Patriarchate of Alexandria became filled with malice toward the saint, so they told Patriarch Sophronius that Nectarius was plotting to become patriarch himself. They told the patriarch that the Metropolitan of Pentapolis merely made an outward show of piety in order to win favor with the people. 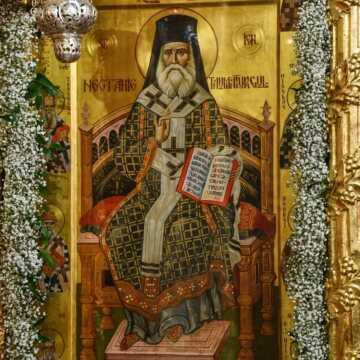 So the patriarch and his synod removed Saint Nectarius from his See. 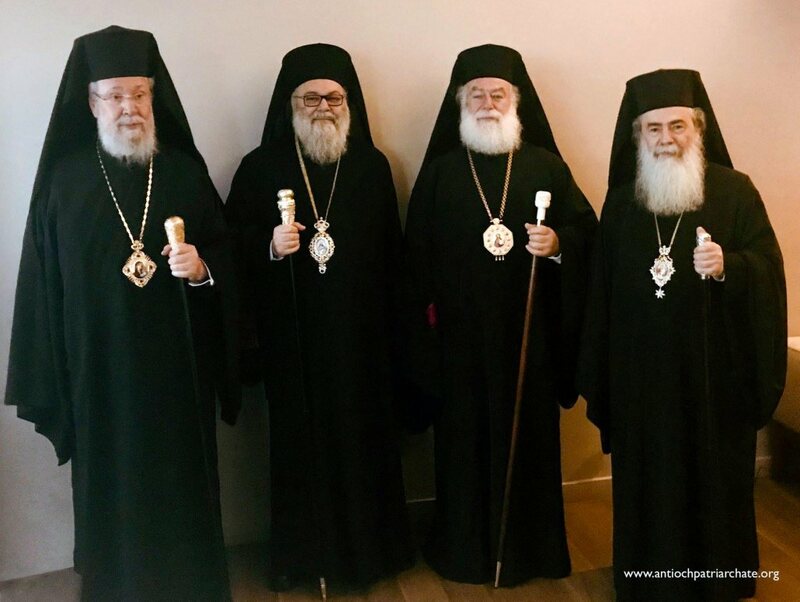 Patriarch Sophronius wrote an ambiguous letter of suspension which provoked scandal and speculation about the true reasons for the saint’s removal from his position. 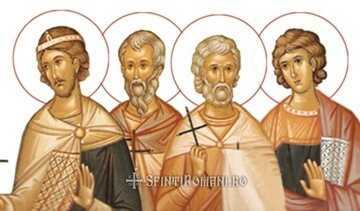 Saint Nectarius was not deposed from his rank, however. He was still allowed to function as a bishop. If anyone invited him to perform a wedding or a baptism he could do so, as long as he obtained permission from the local bishop. Saint Nectarius bore his trials with great patience, but those who loved him began to demand to know why he had been removed. Seeing that this was causing a disturbance in the Church of Alexandria, he decided to go to Greece. He arrived in Athens to find that false rumors about him had already reached that city. 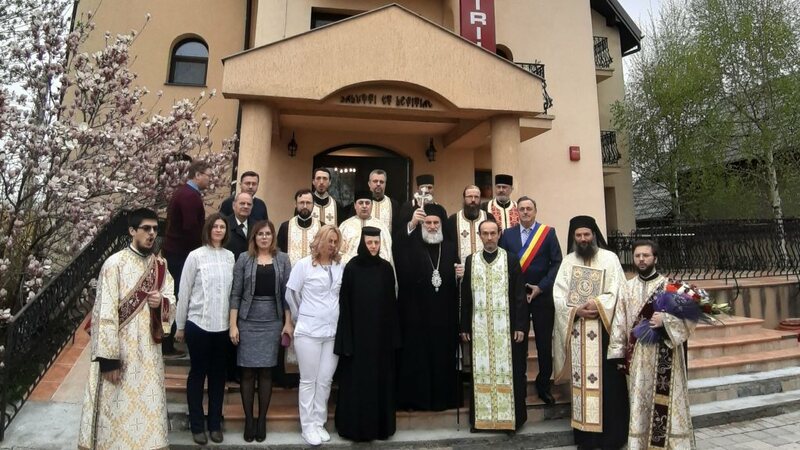 His letter of suspension said only that he had been removed “for reasons known to the Patriarchate,” and so all the slanders about him were believed. One day, as he was leaving the Minister’s office, Saint Nectarius met a friend whom he had known in Egypt. Surprised to find the beloved bishop in such a condition, the man spoke to the Minister of Religion and Education and asked that something be found for him. 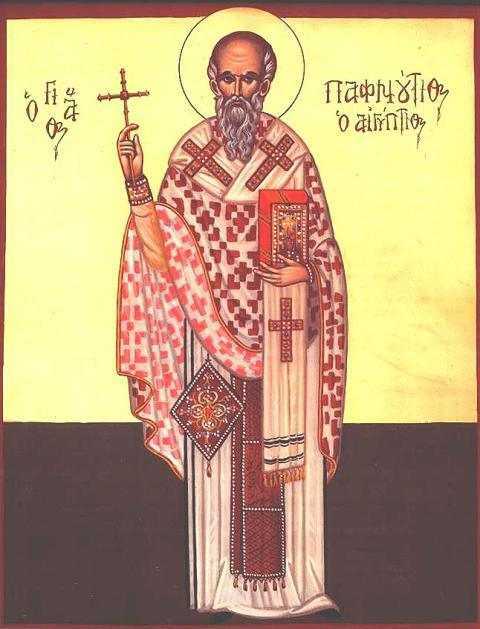 So, Saint Nectarius was appointed to be a humble preacher in the diocese of Vitineia and Euboea. The saint did not regard this as humiliating for him, even though a simple monk could have filled that position. He went to Euboea to preach in the churches, eagerly embracing his duties. Yet even here, the rumors of scandal followed him. Sometimes, while he was preaching, people began to laugh and whisper. Therefore, the blameless one resigned his position and returned to Athens. By then some people had begun to realize that the rumors were untrue, because they saw nothing in his life or conversation to suggest that he was guilty of anything. With their help and influence, Saint Nectarius was appointed Director of the Rizarios Seminary in Athens on March 8, 1894. He was to remain in that position until December of 1908. The saint celebrated the services in the seminary church, taught the students, and wrote several edifying and useful books. Since he was a quiet man, Saint Nectarius did not care for the noise and bustle of Athens. He wanted to retire somewhere where he could pray. On the island of Aegina he found an abandoned monastery dedicated to the Holy Trinity, which he began to repair with his own hands. He gathered a community of nuns, appointing the blind nun Xenia as abbess, while he himself served as Father Confessor. Since he had a gift for spiritual direction, many people came to Aegina to confess to him. Eventually, the community grew to thirty nuns. He used to tell them, “I am building a lighthouse for you, and God shall put a light in it that will shine forth to the world. 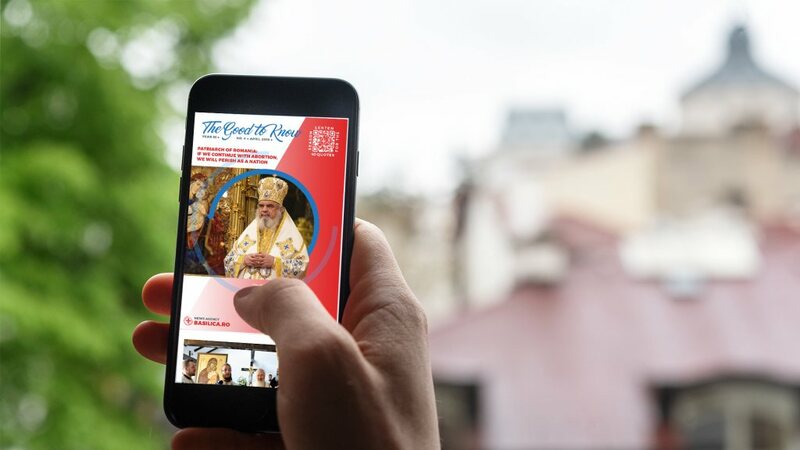 Many will see this light and come to Aegina.” They did not understand what he was telling them, that he himself would be that beacon, and that people would come there to venerate his holy relics. Then the nun showed the saint’s credentials to the astonished intern who then admitted him. For two months Saint Nectarius suffered from a disease of the bladder. At ten thirty on the evening of November 8, 1920, he surrendered his holy soul to God. He died in peace at the age of seventy-four. In the bed next to Saint Nectarius was a man who was paralyzed. As soon as the saint had breathed his last, the nurse and the nun who sat with him began to dress him in clean clothing to prepare him for burial at Aegina. They removed his sweater and placed it on the paralyzed man’s bed. Immediately, the paralytic got up from his bed, glorifying God. Saint Nectarius was buried at the Holy Trinity Monastery on Aegina. Several years later, his grave was opened to remove his bones (as is the custom in Greece). His body was found whole and incorrupt, as if he had been buried that very day. Saint Nectarius was glorified by God, since his whole life was a continuous doxology to the Lord. Both during his life and after his death, Saint Nectarius has performed thousands of miracles, especially for those suffering from cancer. 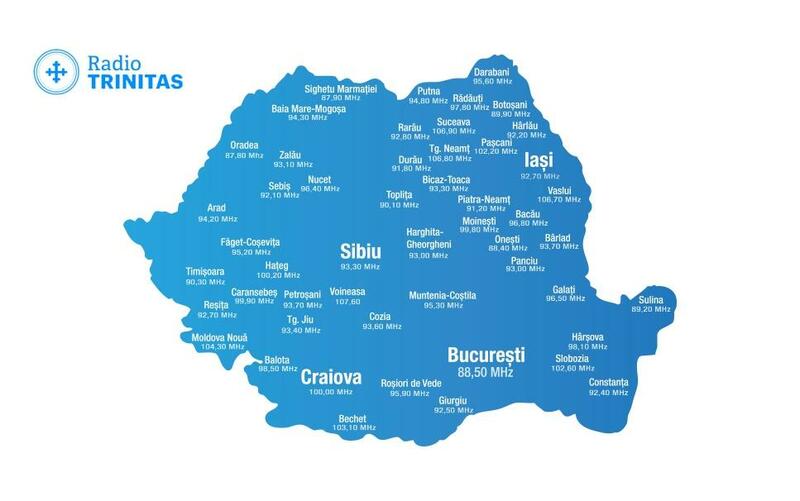 There are more churches dedicated to Saint Nectarius than to any other modern Orthodox saint.